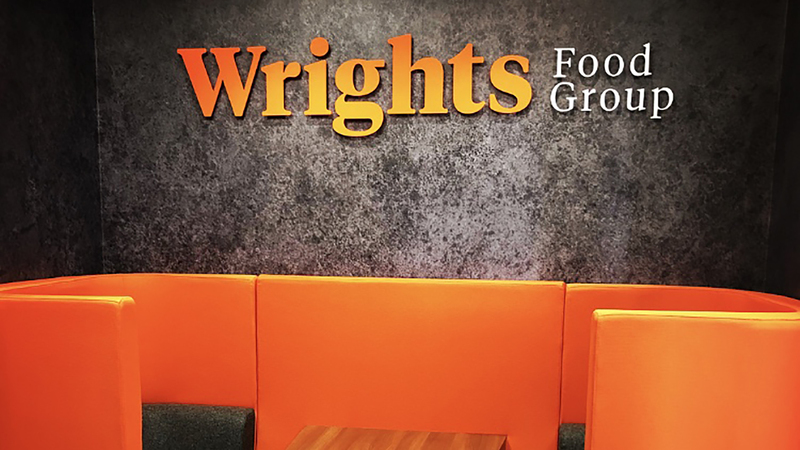 Wright’s are one of the UK's leading food manufacturers. Established in 1926, Wrights has remained a family business. The founding principles of quality, innovation and integrity are still honoured and it is this drive and passion that seen over 90 years of continued investment. 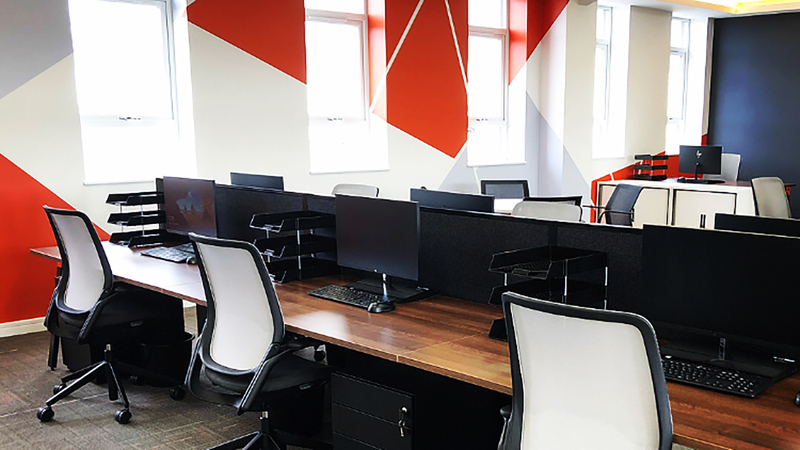 As part of a large rebrand exercise, NBDA were asked to refurbish the Wright’s Head Office, complementing their new brand while taking on-board their core values. 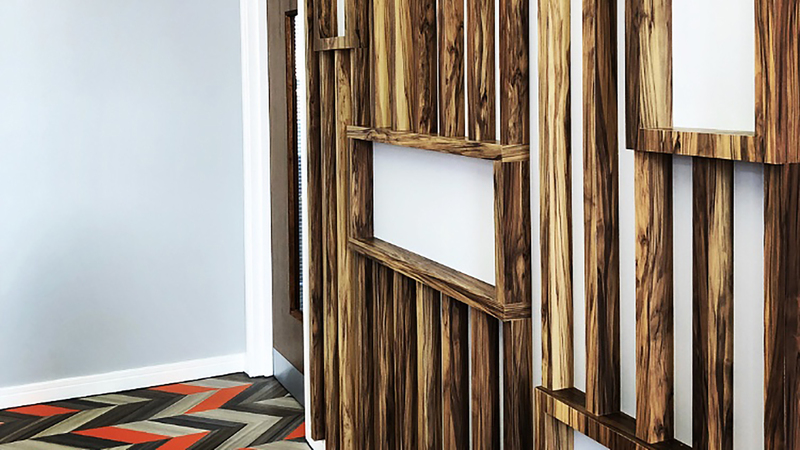 The existing office was made up of a series of smaller offices, this was dramatically altered creating a large, open plan office. 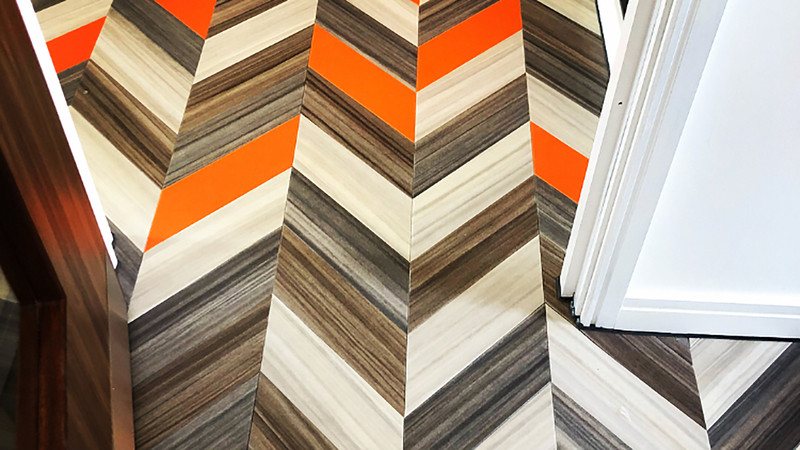 A new sales department was established within a funky new breakout area between the main office and new open plan kitchen. 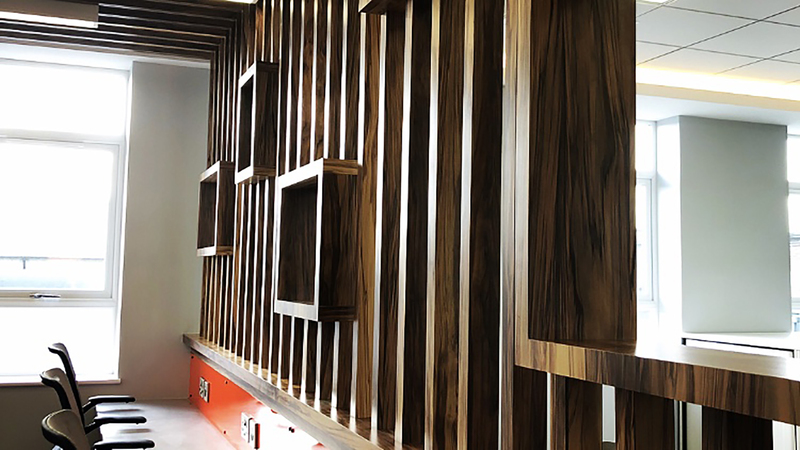 These spaces are visually separated by a new walnut screen and ceiling, which also helps with acoustic management providing a series of shelves to display artefacts from the company. Wright’s have a huge storage requirement which was taken into account with the built-in 'storage walls'. These were streamlined with a shadow gap detail around the edges and simple handles. 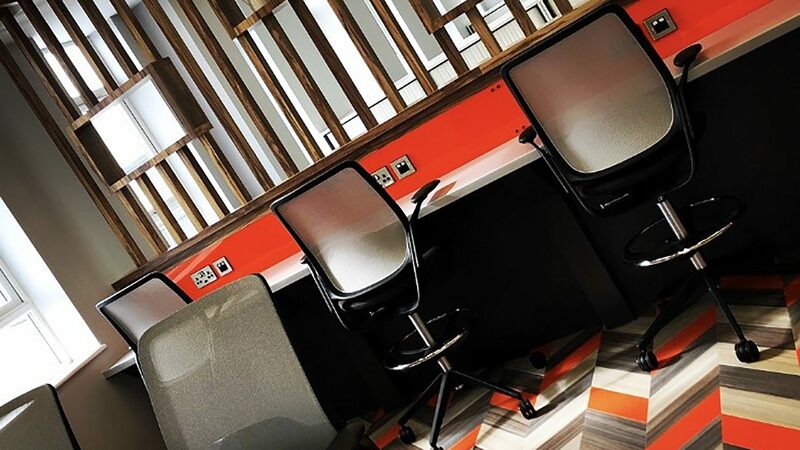 A manager's space, visitors ad-hoc meeting area and a secondary meeting space were also needed in the new office. 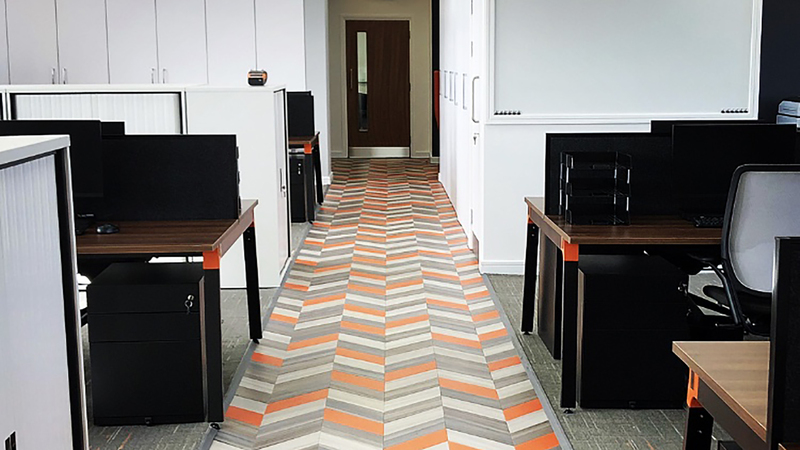 One way we did this was by using Wright’s corporate colour, which is a very striking orange, within the office interior as an accent colour. 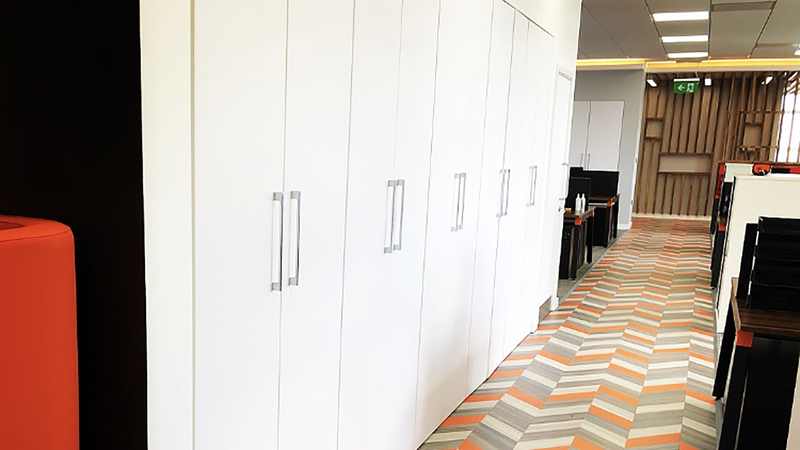 Through careful space planning we were able to successfully introduce all of these elements plus more desks for new staff expansion without compromising the quality of the environment for existing staff members.